Because of her impressive vocal agility soprano Rhonda Nus Tinnin is often called upon to interpret florid Baroque masterworks, but she is equally at home with the sustained lyricism of an Italian opera aria and the energetic exuberance of a Broadway show tune. Included among the diverse roles she has enjoyed are "Lucy" in a Boston production of Menotti’s The Telephone, to "Lisetta" in a staged performance of Bach’s Coffee Cantata for Italy's Studio Lirico. Of her "Mimi" in Puccini's La Bohème, the Italian publication Corriere Aretino called her portrayal "very convincing . . . interpreted with a rare naturalness seldom associated with an operatic performance," and this role was especially meaningful to Ms. Tinnin as she was privileged to prepare for it with the late, world-renowned baritone Tito Gobbi. 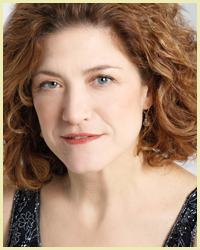 In addition to appearances in Chicago, Boston, Providence, Seattle, Denver, Honolulu, and Cornwall, England, Ms. Tinnin has performed opera, oratorio, and musical theater revues with numerous New York City companies at such well-known venues as Town Hall, Symphony Space, Javits Center, Manhattan Center, and the Kaufman Center's Merkin Concert Hall. She was the featured soloist with Crescendo Brass on their summer 2004 tour and recording, and, with trumpeter husband Dr. Randy Tinnin, was a founding member of Serafini Brillanti, an ensemble specializing in works for soprano, trumpet and keyboard from the 18th-21st centuries. A singer-of-choice for composers, she has premiered works by Bradley Detrick at Merkin Hall, and was invited to perform Eric Ewazen’s To Cast a Shadow Again at the Juilliard School, causing the composer to gush, "gorgeous performance . . . stunning . . . riveting throughout.” Additionally, her speaking voice is featured in story board exhibits on children’s health issues, such as asthma and childhood obesity, in museums and schools throughout the United States. Recent Northeast Florida appearances include the EMMA Lecture Series, J.S. Bach’s Jauchzet Gott in allen Landen (BWV 51), and A. Scarlatti’s Su le Sponde del Tebro with the Chamber Music Society of the Church of the Good Shepherd, Friday Musicale performances of Bach's Farewell Cantata (BWV 209) (with Les Roettges, principal flutist of the Jacksonville Symphony Orchestra) and Bach’s Coffee Cantata, as well as Bella Voce Opera Cabaret . She also was a featured performer in "A Musical Tribute to Breast Cancer Survivorship" at the University of North Florida's Lazzara Performance Hall, and sang a benefit concert for the Raymond and Crystal Key Humanitarian Initiative. Dr. Randy Tinnin (Rutgers University, D.M.A., Juilliard, M.M., and the University of North Texas, B.M.) 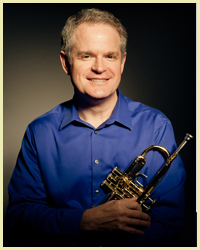 is Chair and Professor of Trumpet, at the University of North Florida. Dr. Tinnin has appeared with Serafini Brillanti, throughout the U.S., in the U.K. and France, and won the "2006 North American Brass Band Association Solo Contest." New York area engagements include appearances with the Orchestra of St. Luke's, Queens Philharmonic, and WQXR-NY radio broadcasts. Early music appearances include the American Bach Society, San Francisco Bach Choir, St. Bartholomew's Chamber Orchestra, and the NYC chapter of the Early Music Foundation, New Trinity Baroque (Atlanta), Vox Ama Deus (Philadelphia), and the Spire Chamber Ensemble (Kansas City). Dr. Tinnin's research has been published in the International Trumpet Guild Journal and the Journal for the Arts in Society. An advocate for the arts in society, Dr. Tinnin was the Director of the HOPE Schools of the Arts, an arts-based mentoring program serving under-served children in Spanish Harlem and Chinatown in Manhattan, and is currently directing the UNF Music Mentors Program, which sponsors music majors from the University of North Florida to offer private and small group music lessons to at risk youth in Duval County, Florida. Erin Bennett recently joined the faculty of the University of North Florida as the Associate Professor of Piano and Piano Pedagogy. At UNF she teaches applied piano, class piano, and is helping to coordinate a new bachelor’s degree program in piano pedagogy. 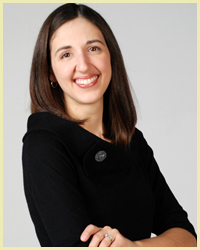 Prior to her appointment, Dr. Bennett served as the Interim Coordinator of Secondary Piano and Piano Pedagogy at the University of Cincinnati College-Conservatory of Music, where she also taught piano through the University of Cincinnati’s Communiversity program. She has maintained private piano studios in Florida, Ohio, and Texas, and served as an adjunct instructor at the Shepherd School of Music at Rice University. Dr. Bennett has presented at both the national conference of Music Teacher’s National Association and the National Group Piano and Piano Pedagogy Forum (GP3). Her research has been published in Clavier Companion. As a performer, Bennett has appeared throughout the U.S. and in the Czech Republic, Belgium, France, and Spain. She has performed as a soloist with the University of Florida Symphony Orchestra and in collaboration with members of the Oregon Mozart Players. Engagements for 2009-2010 include solo and collaborative concerts in Oregon, North Carolina, Georgia, and several venues throughout northeast Florida. Dr. Bennett received degrees in piano performance from Rice University, the University of Florida, and the University of Cincinnati College-Conservatory of Music, where she pursued dual cognates in music history and piano pedagogy. Her principal teachers have included Eugene and Elizabeth Pridonoff, Robert Roux, Boaz Sharon, and Virginia Hawley Buhn. Copyright (c) 2015. Serafini Brillanti. All rights reserved.